I couldn’t justify calling this a movie blog if I didn’t mention the news that Chris Penn is dead. The 43 year old was found in his Santa Monica home on Tuesday, and although the cause of his passing hasn’t been released, it is clear there is no foul play involved. 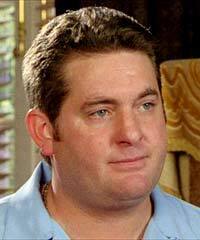 He will always be remembered for his role in Tarantino’s Reservoir Dogs as Nice guy Eddie, but Chris Penn had worked with a plethora of other leading directors and actors, even if firmly in the shadow of his brother Sean. I’ll always remember his bizarre role within Best of the Best, a surprisingly successful American Martial Arts Drama of the late 80’s, that spawned several sequals. His film choices were often stange, yet memorable for the right reasons. His lastest film has recently previewed at the Sundance film festival, and has garnered some excellent reviews. For a fuill biography visit his IMDB page.